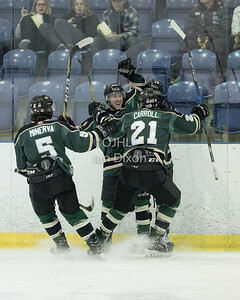 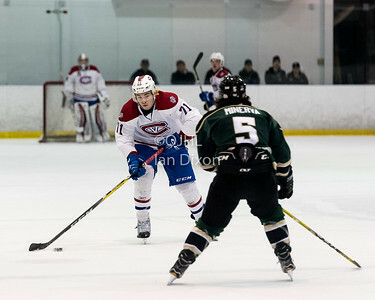 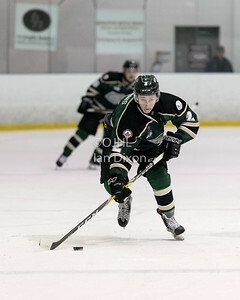 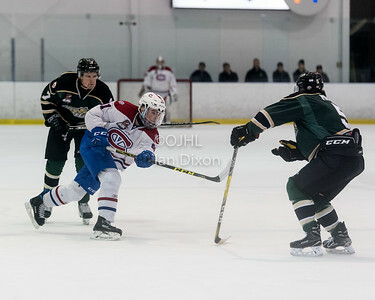 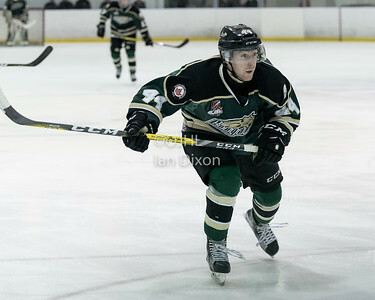 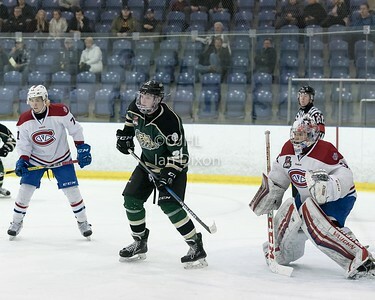 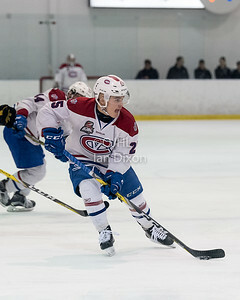 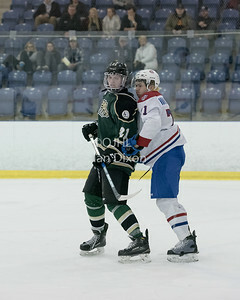 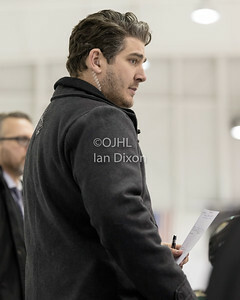 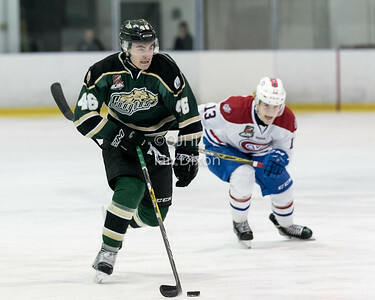 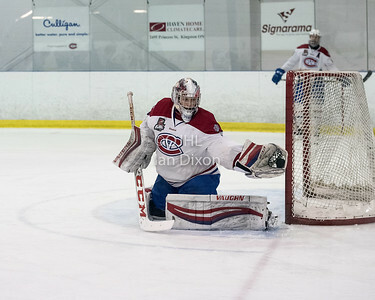 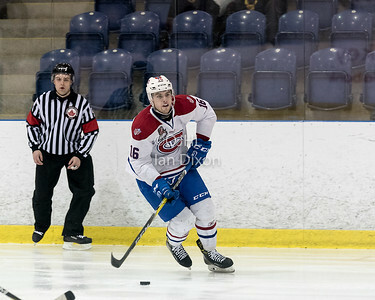 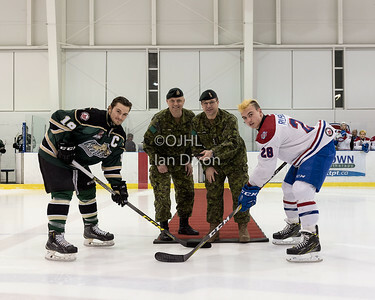 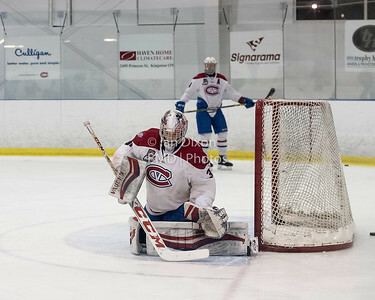 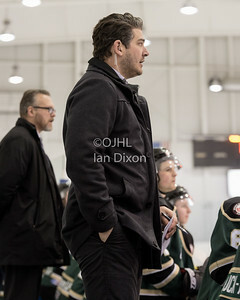 OJHL post season game action images between the Cobourg Cougars and Kingston Voyageurs. 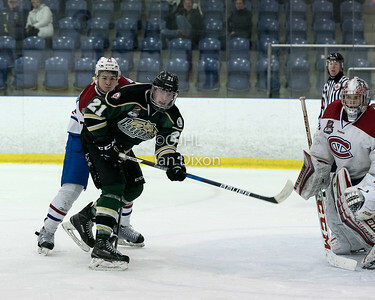 Cobourg went on to defeat Kingston 6-2. 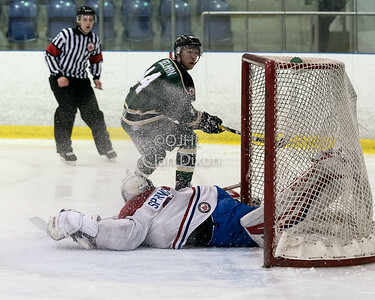 KINGSTON, ON - MAR 2, 2017: Ontario Junior Hockey League, playoff game between the Cobourg Cougars and Kingston Voyageurs, Ryan Casselman #44 of the Cobourg Cougars scores a goal during the 2nd period.